Feeling beautiful has a lot to do with what appears on the outside. But feeling beautiful begins with being healthy on the inside. When one of the primary building blocks of health, such as collagen type 1 & 3, is on the decline, it makes sense that feelings of wellness and beauty will also decrease. 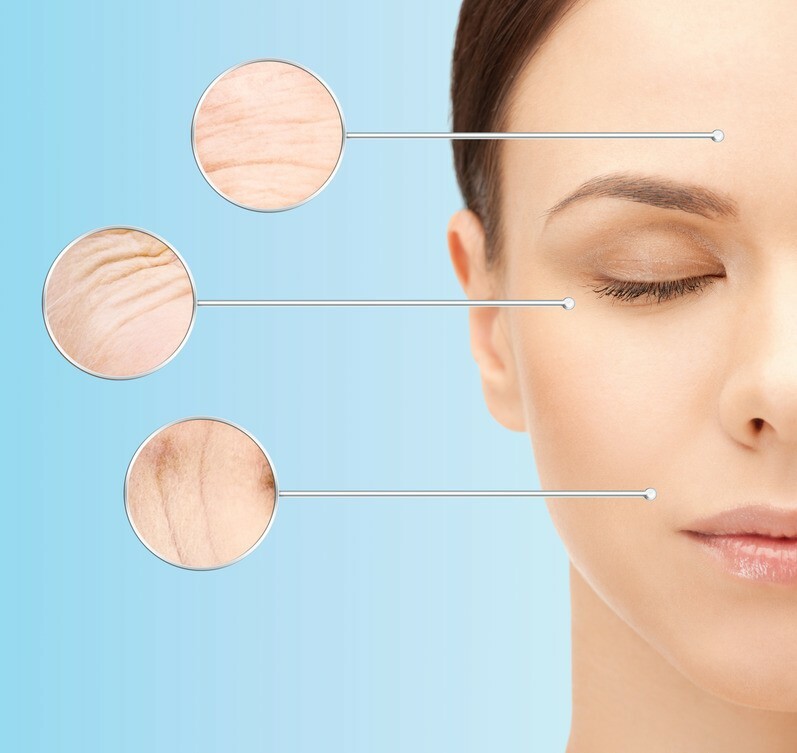 Collagen Types 1 & 3 comprise 90% of all the collagen made in the body. Collagen Types 1 & 3 include proteins in the form of amino acids which make up hair, skin, nail and bones. 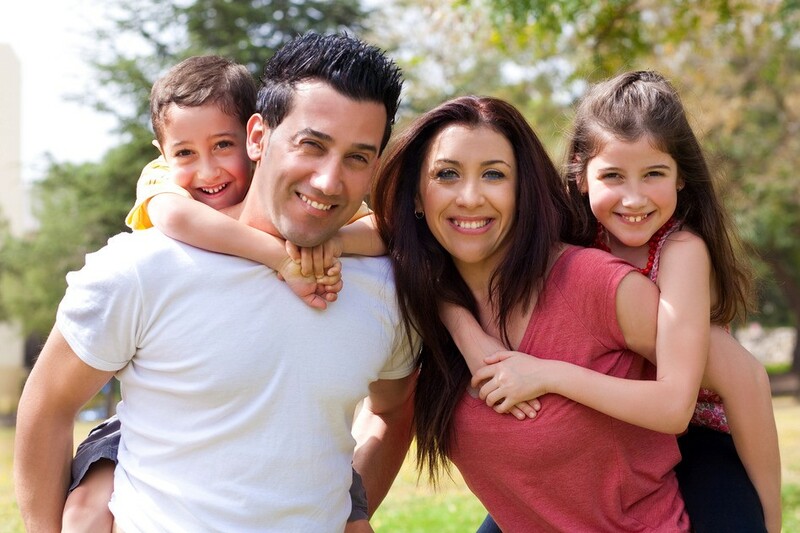 Collagen in hair contributes to hair thickness, reduces hair loss, and improves elasticity. The collagen in skin gives it a smooth, firm appearance. It helps prevent weak or broken nails and is a part of the repair process for split nails or damaged nail beds. 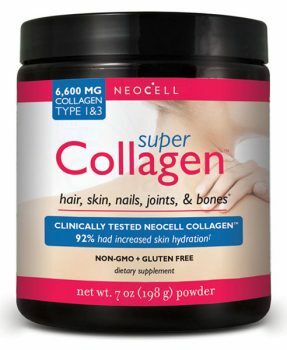 Collagen is something to consider adding to your collection of standard nutritional supplements. 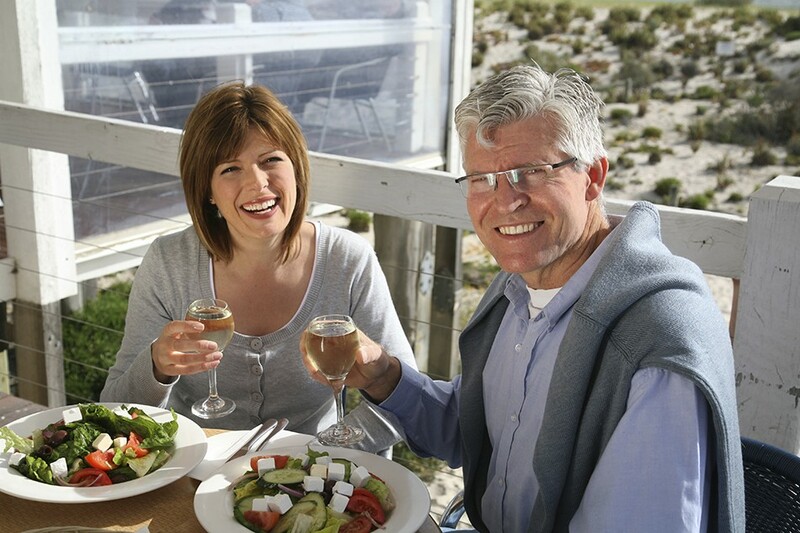 It’s a vital part of supporting what we see and don’t see – especially when the signs of aging begin to appear. Thinning hair, and fine lines and wrinkles are just a small sign that your collagen supplies are shrinking. 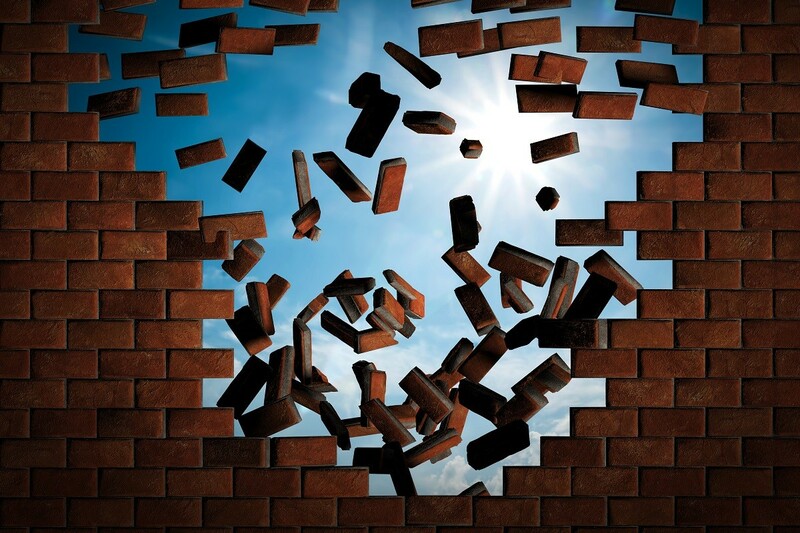 Like the breakdown of mortar between bricks, eventually the elements can lead to a need to rebuild the walls with a fresh supply of the stuff that holds the bricks together and in place. Considering that one third of your body’s protein comes from collagen, and that collagen production steadily decreases after the age of 25—taking your daily dose of collagen is just as important (if not more so) than your multivitamin. By age 40, collagen production is down by 25% and by age 60, it’s down by 50%. 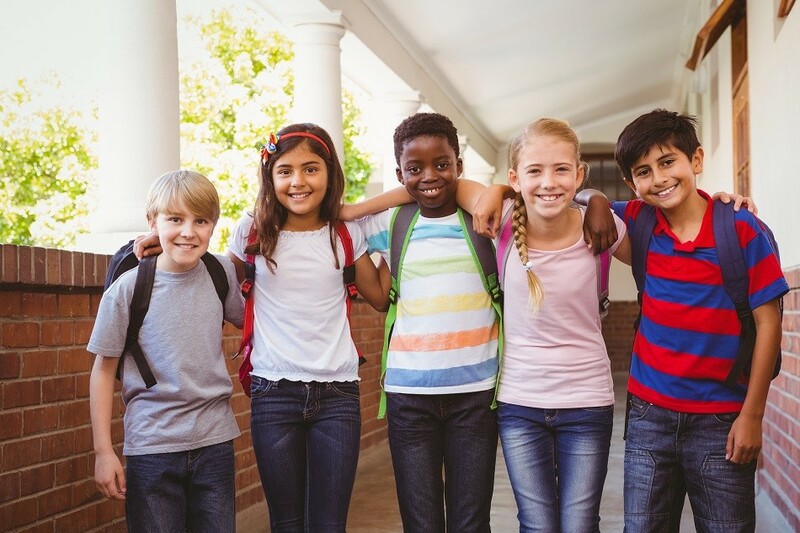 In addition to age, lifestyle choices like consuming high amounts of sugar, exposure to environmental factors (smoke and unfiltered sunlight), and chronic stress can also deplete collagen reserves. As with the spectrum of vitamins, nutrients, and minerals in your multivitamin, it is possible to get some of your collagen from food. But if you want to be sure you’re getting an adequate amount of collagen, as well as the correct type, taking a high-quality, bio-available Collagen Types 1 & 3 is important. 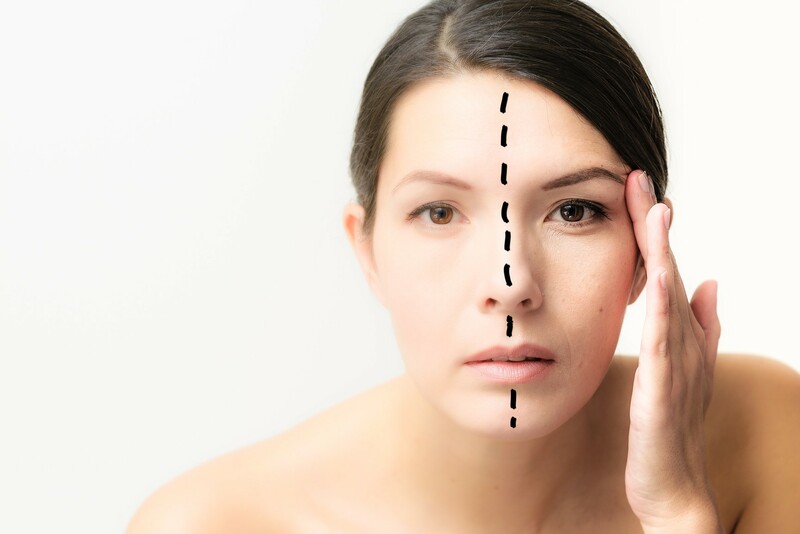 Of course, what we see makes the bigger impression, but knowing that collagen is working to nourish factors of both inner and outer beauty makes us feel even better. 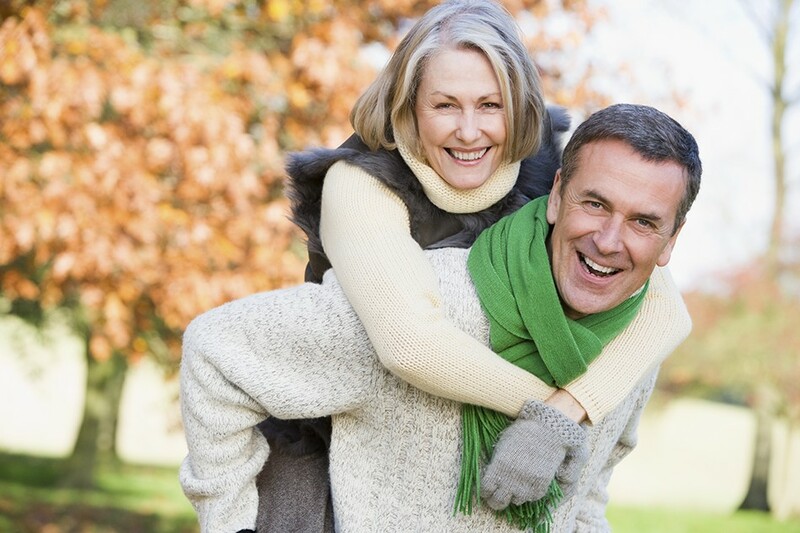 Why Internal Collagen Types 1 & 3 Supplements? Though there are topical collagen treatments, taking an internal collagen supplement can increase the amount of collagen the body produces. As collagen particles mimic the natural collagen already in the body, they stimulate and replenish the need to make more collagen. Continual supplementation provides this stimulation after created collagen is lost as part of the natural collagen generation and breakdown cycle. Because Collagen Types 1 & 3 must be formulated in a way that the body can assimilate it, a factor to consider is collagen absorption. Not all collagen sources are easily assimilated by the body. High-quality collagen comes from natural animal sources and is hydrolyzed for maximum absorption and bioavailability. What about topical collagen treatments? Though skin creams and gels may offer temporary visible benefits, added ingredients and the collagen used generally only go skin deep. The cell makeup of topical treatments is too large to go deeper and do not encourage the body to produce more collagen as a result. The better option is to take collagen Types 1 & 3 as an internal supplement, where the tiny fragments are absorbed and help to stimulate new collagen as a part of the collagen regeneration cycle. Regular intake of quality collagen as a supplement will keep this cycle going and offset the normal depletion of collagen that happens with age and exposure to outside elements. 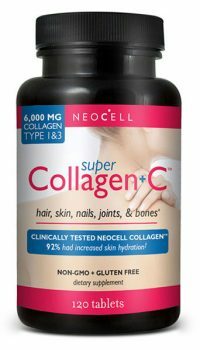 When using a collagen supplement, the source and formulation of collagen is important. Collagen is extracted from animals such as cows and chickens. The healthier the animal source, the higher quality collagen can be extracted. Since our natural collagen is found in our skin, ligaments, and joint cartilage, it makes sense to retrieve supplemental collagen from those same sources in animals. The amino acids that make up the protein in collagen can only come from animals. This means that there is not a vegetarian source of collagen available. 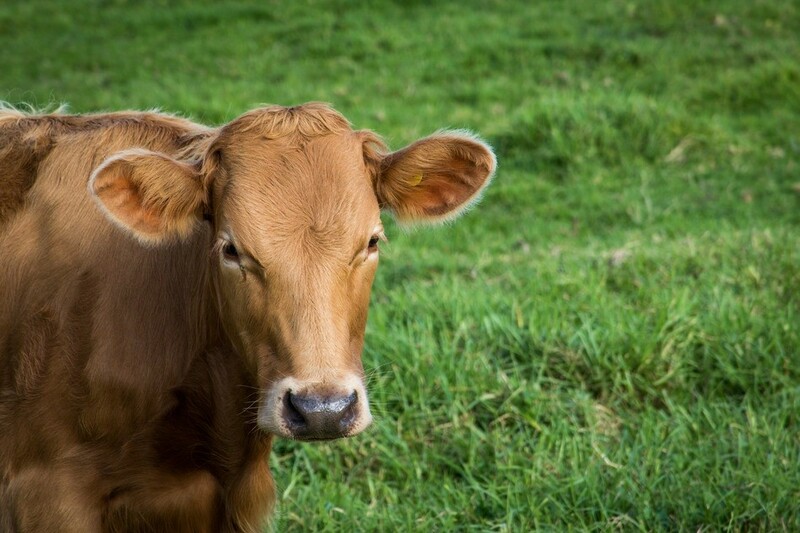 Collagen that comes from grass-fed, free-range cows not treated with hormones or antibiotics is the best known source for skin and bone health. There are several ingredients that may be included along with collagen in various types of collagen supplements. Depending on your reasons for taking collagen, choose the combination that closely matches your desired results. Biotin Builds Strength – As an essential B vitamin, the addition of biotin in collagen products supports hair health by increasing thickness and shine. It also promotes strong, smooth nails. If you’re already seeing and experiences signs of collagen depletion or if you’re over age 40 and not already taking supplements that include Vitamin C or Hyaluronic Acid, choose a supplement containing all the ingredients necessary for collagen production, hydration, and protection. Or choose the form of collagen that will be most convenient. 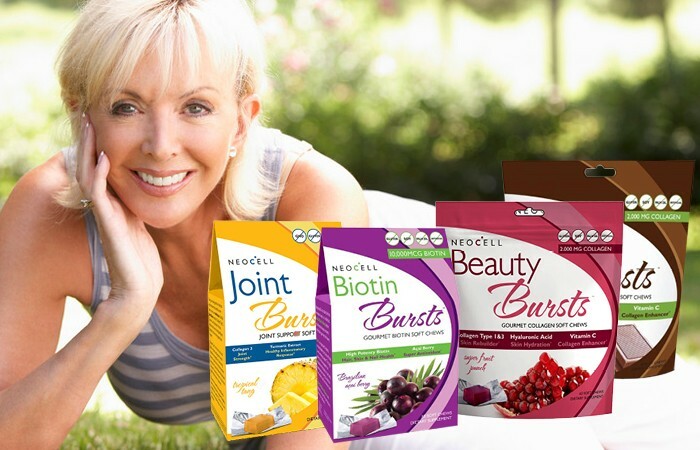 The Collagen Types 1 & 3 supplements from NeoCell come in powder, tablets, or chews to suit your preference. Take on an empty stomach or with fruit juice and an amino-acid based protein for maximum effectiveness. 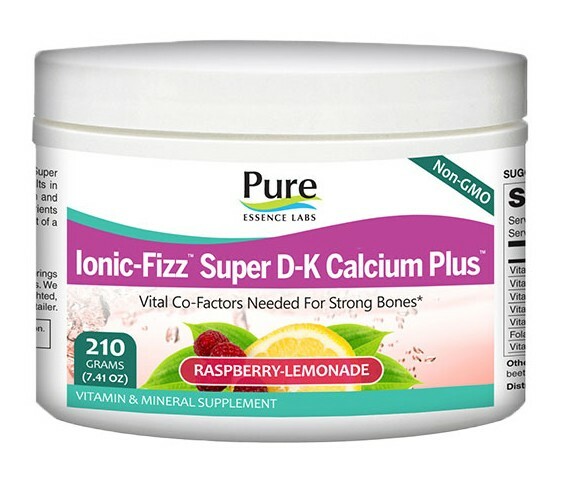 The advanced enzymatic hydrolyzation process used to make Super Collagen + C bio-available supports research suggesting that bioavailable oral collagen peptides can decrease visible signs of aging while supporting the skin matrix.3 Available in tablets. Free of soy and dairy. Gluten-free and non-GMO. 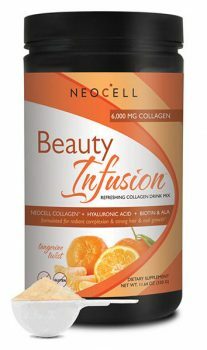 A single scoop of Beauty Infusion contains 6,000 mg of highly absorbable Collagen Types 1 & 3, plus 50mg of hyaluronic acid for hydration, and alpha lipoic acid, Vitamin C for antioxidant and collagen production support, and biotin for strong hair and nails. One scoop dissolves easily in a glass of water and contains all the nutrients you’ll need in a day for that natural, healthy, youthful glow. Soy and Gluten-Free. 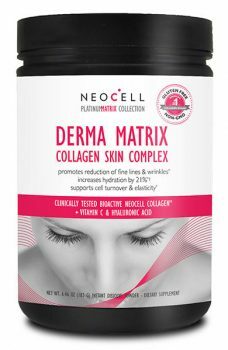 Stimulate the cycle of collagen production with Derma Matrix Skin Complex and 6,000mg of BioActive NeoCell Collagen™, hyaluronic acid, and Vitamin C-protection with amla fruit extract and ascorbic acid. Dissolves instantly in water or add to your favorite juice or smoothie recipe. Does not contain soy or dairy. Gluten-Free and non-GMO. 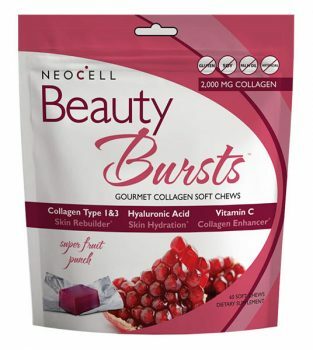 When the thought of taking another pill is hard to swallow, Beauty Bursts Collagen Chews are the answer. Great tasting and even addicting (in a good way), take two chews a day for the three-fold beneficial combination of hydrolyzed collagen Types 1 & 3, hyaluronic acid, and Vitamin C. Free of dairy, soy, and yeast. Gluten-Free.